Ashvin Swaminathan ’13 was just awarded a Soros Fellowship for New Americans. The Paul & Daisy Soros Fellowship for New Americans honors the contributions of immigrants and children of immigrants to the United States. Each year, the program provides funding for graduate studies for 30 immigrants and children of immigrants “who are poised to make significant contributions to U.S. society, culture or their academic field,” according to the website, which goes on to note that each fellow receives up to $90,000 in financial support over two years. Swaminathan, a senior at Harvard, is graduating in May with degrees in mathematics and physics. In the fall, he will start his graduate studies in mathematics at Princeton. Other awardees include a jazz trumpeter at The Juilliard School, a printmaker at Yale and a philosophy major at Columbia. 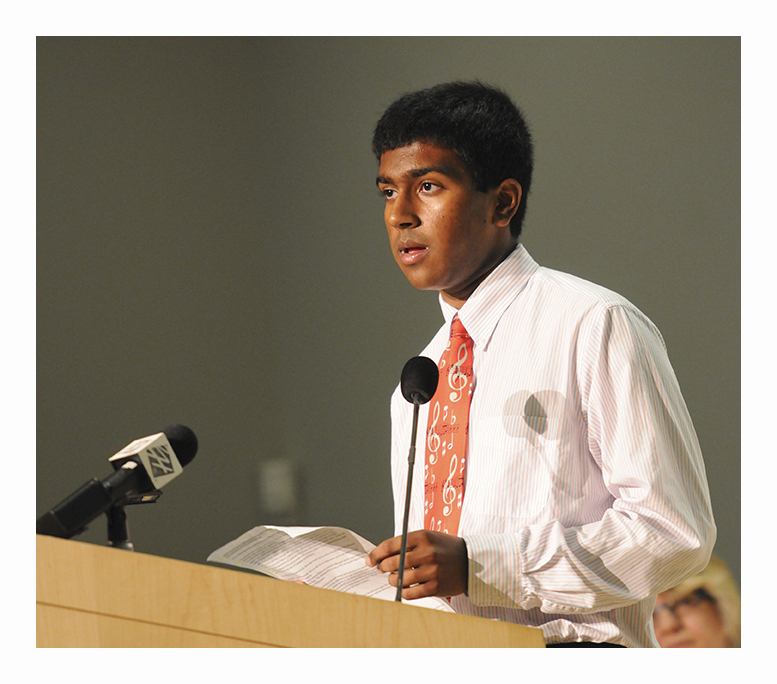 Swaminathan was valedictorian for his graduating class at Harker and earned a number of distinctions while still in high school, including being named a semifinalist in the Intel Science Talent Search (now the Regeneron Science Talent Search) and a John Near Scholar Endowment recipient. Amazing work, Ashvin! Best wishes for a continued great career! The photo is from the 2013 Near-Mitra Endowment reception.